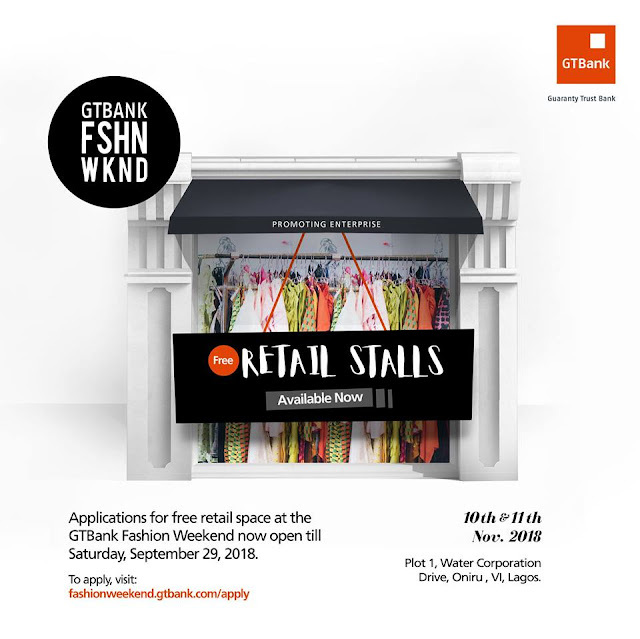 Apply for a Free Stall At GTBANK Fashion Weekend !!! Does your fashion brand turn heads? Can you excite millions of fashion lovers? Register for a free stall at the #GTBankFashionWeekend. EVENT DATE: Event is on 10th & 11th November, 2018. VENUE: PLOT 1, Water Corporation Drive, Oniru, VI, Lagos. Registration closes on 29 September, 2018.